The traditional seven-seat MPV is not as popular as it once was, but it still maintains a loyal core audience. If you have four children, it’s a virtual must-have, for example. Does each of your three children have a mate they like to bring along for the ride? Likewise. So although there aren’t as many seven-seat people carriers on the market today, there’s still a decent choice to pick from – and many of them are highly-talented machines in their own right. Here we run through 10 of the best. 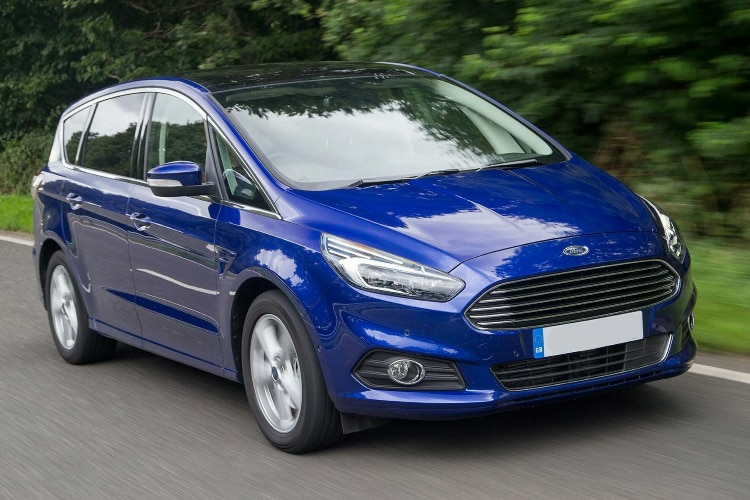 The Ford S-Max is the people carrier that put the cool factor back into the MPV sector. Ford dealers report BMW 3 Series buyers seeking extra practicality trade into them – because it combines seven roomy seats with the sort of cool crossover looks smart urbanites hanker after. It’s great to drive too: it’s easily our favourite seven-seater. The Ford Galaxy is similar to the Ford S-Max, but for one key difference – whereas the S-Max has a coupe-like rear end, the Galaxy is more boxy and traditional, to maximise interior space. That’s why posh taxi firms use them: it’s roomy and practical, but posh inside and good to drive. No, it’s not as stylish as the S-Max, but if you demand your seven-seater works to earn its keep, it’s the one you should pick. The smaller Ford Grand C-Max is a compact people carrier with seven seats, plus sliding rear doors to make getting in and out of them easier. It’s yet another Ford that’s good to drive and it feels very well-built inside. Prices are, on paper, rather high, but Ford dealers are happy to do deals. The Citroen Grand C4 Picasso was revised for 2016, with better-quality interior trim, crisper styling and the addition of Apple CarPlay smartphone connectivity. The engines were cleaned up as well. Citroen didn’t change the seat layout though. It didn’t need to. It remains a light, airy and roomy seven-seater with lots of passenger appeal. The all-new Renault Grand Scenic looks fantastic. Renault has put a bit of the SUV wow factor into its once ground-breaking compact MPV, but has also ensured the upmarket interior is practical and super-flexible. It’s a really appealing model that was fresh for 2016, and seems to be winning friends in Renault dealer showrooms. 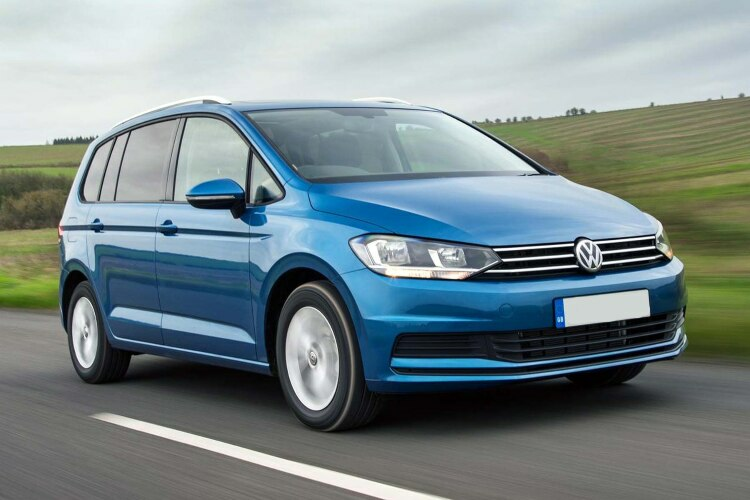 The sober-suited Volkswagen Touran is derived from the platform of the talented Mk7 Golf. It’s a second-generation model, after the original one lingered for too long, and is a higher-quality, more appealing proposition. The interior is richer, engines are improved and it drives cleanly as well. The Seat Alhambra is a great-value large seven-seat MPV. It’s a bit of a traditional layout, but it still works, and features such as electric-slide rear doors help make it a genuinely family-friendly shuttle. You could pay more to get the otherwise almost identical Volkswagen Sharan, but why would you? So a seven-seat MPV has to be a big old bus, then? Most certainly not, reckons Fiat. That’s why it’s introduced the 500L MPW, complete with three rows of seats that include two compact jump seats in the rear. It’s a blessing for parents faced with suddenly having to transport a troop, yet it still keeps some of the Fiat 500’s cute retro styling intact. Leftfield, but interesting. The Toyota Verso is all but guaranteed to be the most dependable, reliable and longest-running seven-seat MPV in this group. It’s not particularly interesting, but it will continue to deliver safe, efficient, fuss-free transport long after some others here have faded away. A recent-years lift in quality makes it a nicer machine to live with as well. Vauxhall facelifted the Zafira Tourer for 2016. Visual changes were limited to a tidy-up of the front end, but a new infotainment system was installed inside and, under the bonnet, eco new engines were introduced. These days, it doesn’t command the profile Vauxhall’s clever seven-seater once did, but it still has its loyalists.